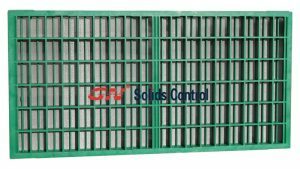 GN solids control will ship 1800pcs shaker screens to our client in Asia after Chinese New Year holiday. All the screens are composite material frame shaker screens, the dimension is 635x1253mm. The screens can be loaded into 2 containers. Our factory will be closed for Chinese New Year holiday from January 29th to February 13th. 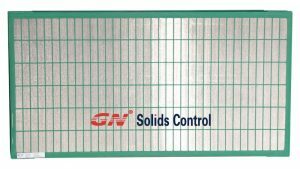 Pls contact with GN solids control by email freely. Shaker screens are one of our major products among our products lines. As the professional manufacturer of solids control equipments and drilling waste management, our products line including linear motion shale shaker, mud cleaner, desander, desilter, decanter centrifuge, vacuum degasser, centrifugal degasser, mud gun, mud agitator, centrifugal pump, submersible slurry pump, sludge vacuum pump, mud gas separator, mixing hopper and jet mud mixer, flare ignitor, screw pump, screw conveyor, high G drying shaker, vertical cuttings dryer, mud tank, complete solids control system and drilling cuttings treatment system. Also we can produce cuttings solidification unit, Thermal Desorption Unit, Oil sludge separation unit, chemical dosing unit, and HDD & CBM mud recycling system, TBM desander unit, Solids removal unit, Dredging slurry separation unit. 1) All the screens over 60 mesh use 3 layers wire mesh for longer working life. 2) Four sides pre-tensioned shaker screens for reliable working performance. 3) Longer storage life up to 5 years. 4) Larger effective screen area for better separation result. 5) GN high performance wire mesh configuration is compliant to APIRP 13C with normally longer screen life. 6) The working life of the composite material frame shaker screen is much longer than steel frame screens.